Graeme is a qualified practitioner in Quantum BioEnergetics Balancing Technique, Quantum Touch, Reiki Master and Liquid Crystals (TLC). Through his own health challenges and life experiences, Graeme has been led to these powerfully effective ‘quantum frequency’ healing modalities. He has been a practising healing facilitator since 2005. 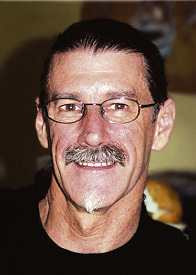 Graeme also has had a lifetime interest in the esoteric and spiritual dimensions and has over 20 years experience teaching adults in art and design for TAFE and University of South Australia. Graeme, after connecting to the realms of higher frequency, creates large abstract paintings depicting vibrational energy (visit his website graemecogdell.com.au). These works of art are an extension of his healing modalities and are also valuable in helping people to connect to higher healing frequencies. Copyright © 2019 Quantum Healing Frequencies. All Rights Reserved.